The late Jiří Bělohlávek was equalled only by Sir Charles Mackerras in his passionate advocacy for the operas of his countrymen Janáček and Martinů, and today sees the release of the world premiere recording of a life-affirming little one-acter which the latter composed during his time in America, recorded three years before the conductor’s death in 2017. Composed in 1951-2, What Men Live By sets Martinů’s own English translation of a short story by Tolstoy, Where God is, love is, which tells of Martin Avdeitch, a lonely, widowed cobbler who rediscovers the joy in life when he begins to live for others rather than brooding on his own losses and cocooning himself in his work. (At the beginning, he recognises his neighbours only through the parade of shoes which troop past a low-set, narrow strip of window in his workshop each day, and Martinů complements Tolstoy’s potent image of Martin’s isolation and industry with a marvellously busy little ‘stitching’ chorus which nods to the spinning-scene in Wagner’s Flying Dutchman). When his only friend suggests he seek solace in the Bible, our protagonist hears an ethereal voice (portrayed by a small off-stage chorus) promising to pay him a call the following day. Whilst he waits feverishly for supernatural visitation, he gives shelter to a freezing vagrant, helps out a struggling young mother, and smooths over a scuffle between a lonely, cantankerous grandmother and an urchin who’s pinched one of her apples – eventually realising that all of these people are manifestations of the divine (pace Matthew 25:35: ‘When I was a stranger, you welcomed me’). If this all sounds rather didactic and mawkish, Martinů’s music is anything but, exuding folksy vitality and teeming with infectious little melodies; though these are shot through with chorale-like string writing as Martin calls the scriptures to mind, the emphasis is firmly on the cobbler’s rediscovery of his joie de vivre rather than on piety for its own sake. (It’s telling that the composer eschewed the overtly religious title of Tolstoy’s story and instead named the piece after another tale from the same collection). The first documented performances were apparently given with piano only, which seems rather a pity given the inventiveness of Martinů’s orchestration, but this fine premiere recording showcases the score’s vivid colours in all their glory. As with his recording of Janáček’s Glagolitic Mass which I reviewed recently, Bělohlávek gets the balance between solemn religiosity and rustic energy just right – witness the bucolic, whooping horns as day dawns on the frigid little workshop, or the pungent harmonica wielded by the cheeky apple-thief. The vocal soloists capture the speech-song quality which Martinů wanted to perfection rather than approaching the piece like scaled-down verismo (though the full-blooded lyricism which alto Ester Pavlů brings to the Old Woman’s little arietta is also a joy); that the English pronunciation (particularly from Ivan Kusnjer’s Martin) is idiosyncratic only adds to the overall atmosphere and charm. 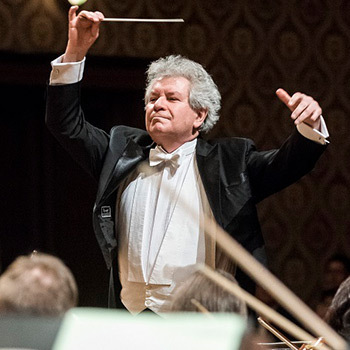 The spoken role of the narrator is taken by the Czech Philharmonic’s leader, Josef Špaček, whose American accent is also in keeping with the piece’s genesis; that accent also plays out in the music, particularly in the final minutes of the score, which are shot through with flashes of Copland and even Bernstein. Though the overall flavour is unmistakably Czech, Britten (particularly Albert Herring, written five years earlier) also came to mind at certain points, and not just because of the encounter between a despondent shopkeeper and an apple-scrumping tyke: the dawn horn-calls are reminiscent of those which herald May Morning in Loxford, whilst the women’s repeated intonation of Martin’s name echoes Ellen’s consolation of Peter Grimes. The opera is just 40 minutes long, and is paired here with an equally characterful account of the First Symphony, originally envisaged as the start of a complete cycle with the Czech Philharmonic which was curtailed by Bělohlávek’s death (though his legacy does include a superb set of these works with the BBC Symphony Orchestra). A film version of What Men Live By, using this recording as the soundtrack, was broadcast on Czech television last month; fingers crossed for a wider release, as Bělohlávek has unearthed and polished a little gem.